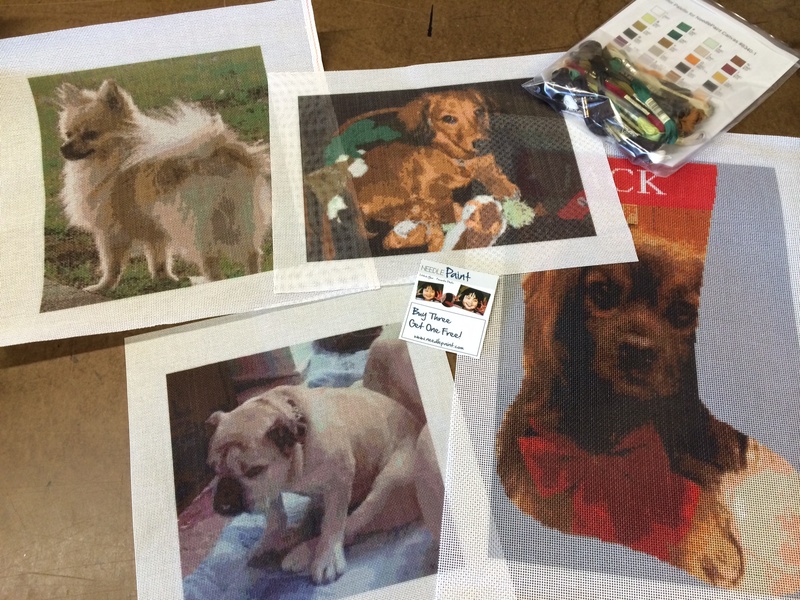 Two of these dog needlepoint canvases are in our shop, the other two are custom! 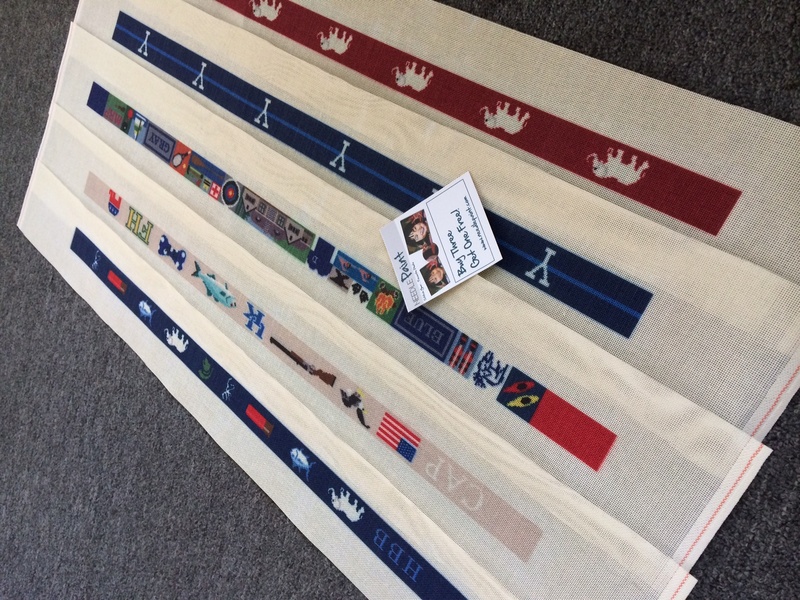 Below are a Bird Hunting, Life Treasures Custom Belt Canvas, and a Track and Field canvas. 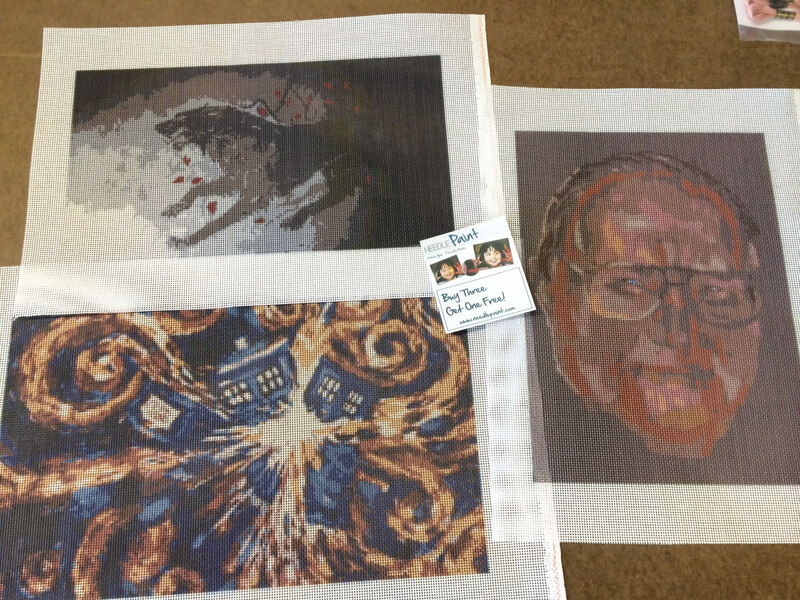 A few more fun custom art needlepoint designs created this week! 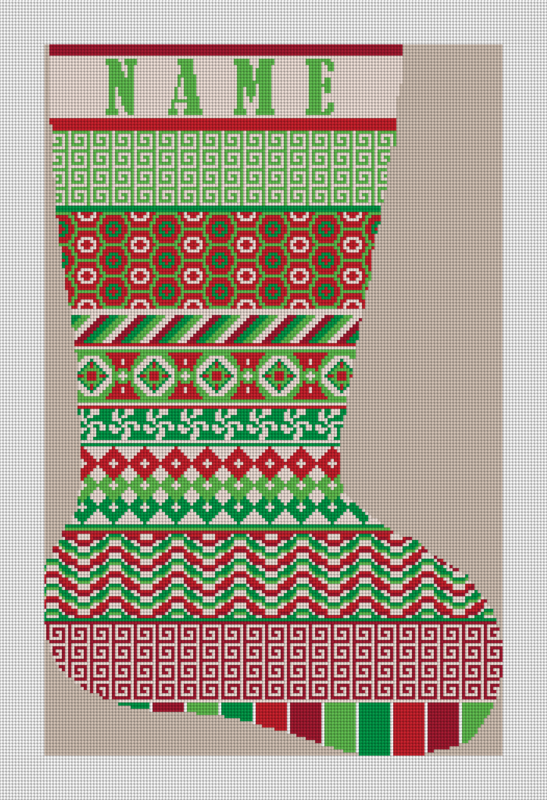 It is never too early to start on a personalized needlepoint christmas stocking. 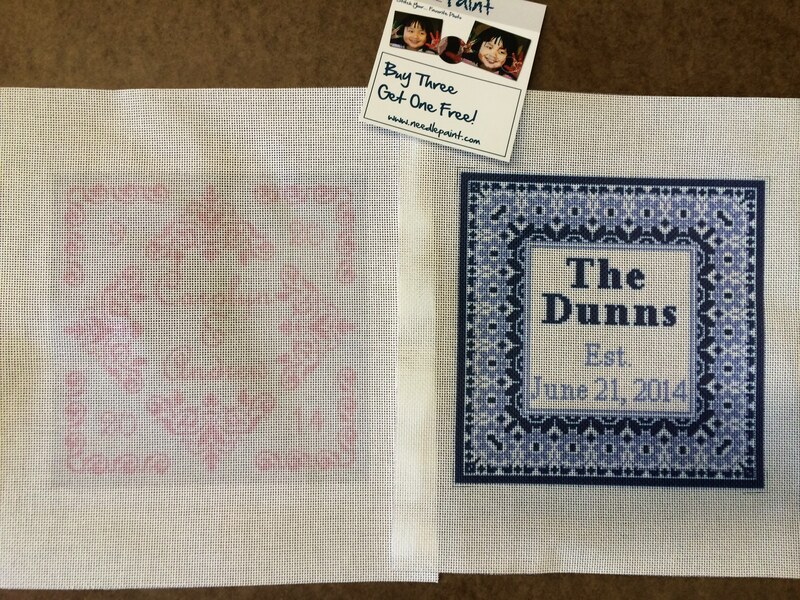 If you’ve stitched one in the past, you’ll know the projects can stretch out over months, and if you start too late you may have to wait until the following year until it is done and ready for the recipient! 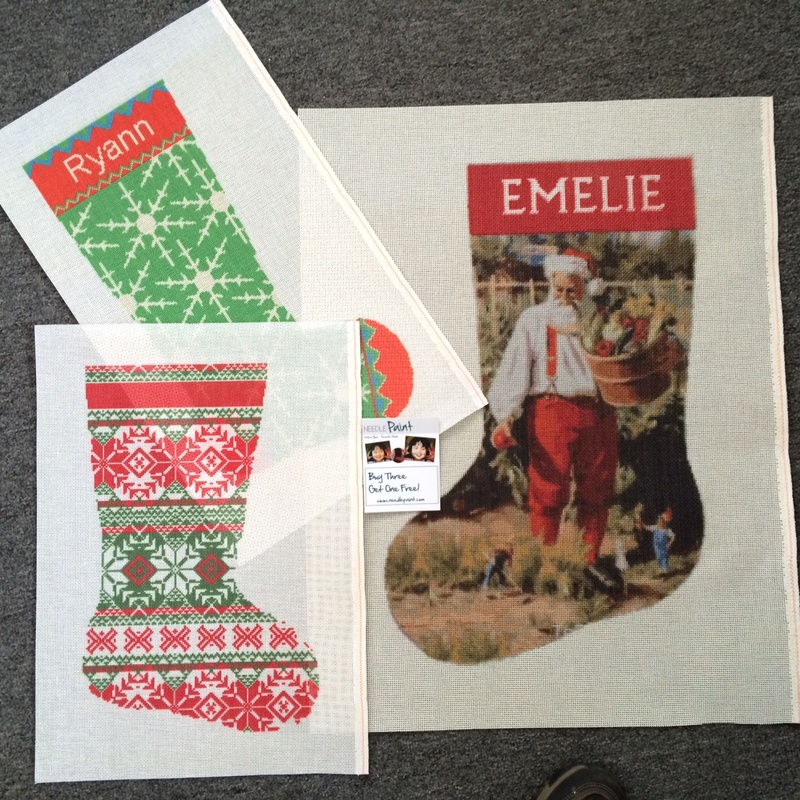 We created four new designs this month. 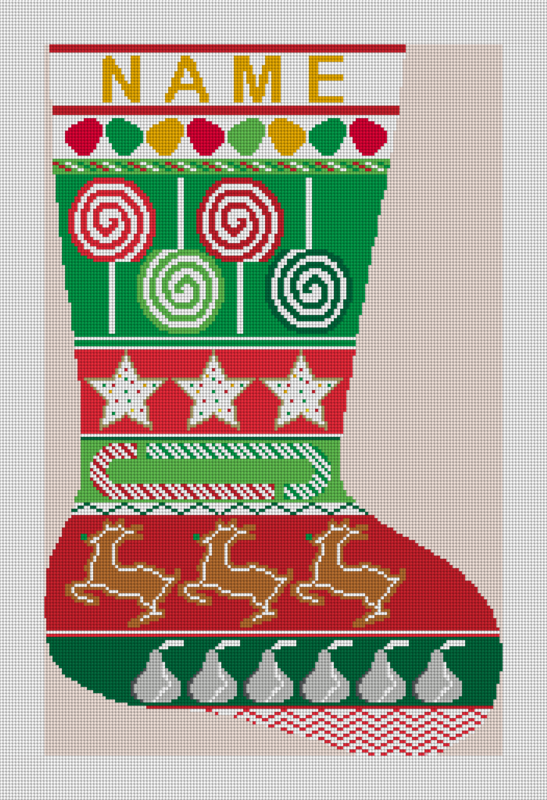 The Lollipop Mixed Stocking Needlepoint Kit coordinates with the Christmas Treats Canvas. 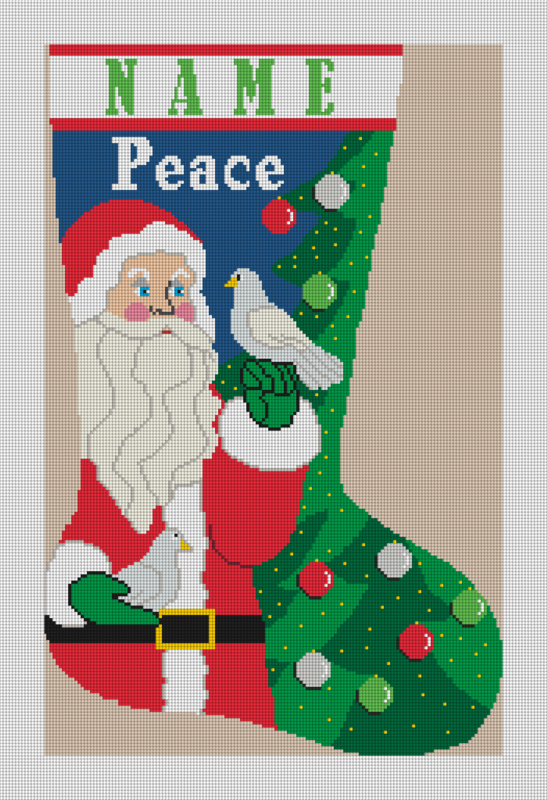 And lastly, the new Santa’s Dove Needlepoint Canvas could coordinate with the Reindeer Stocking and Nutcracker Stocking Needlepoint Kit. 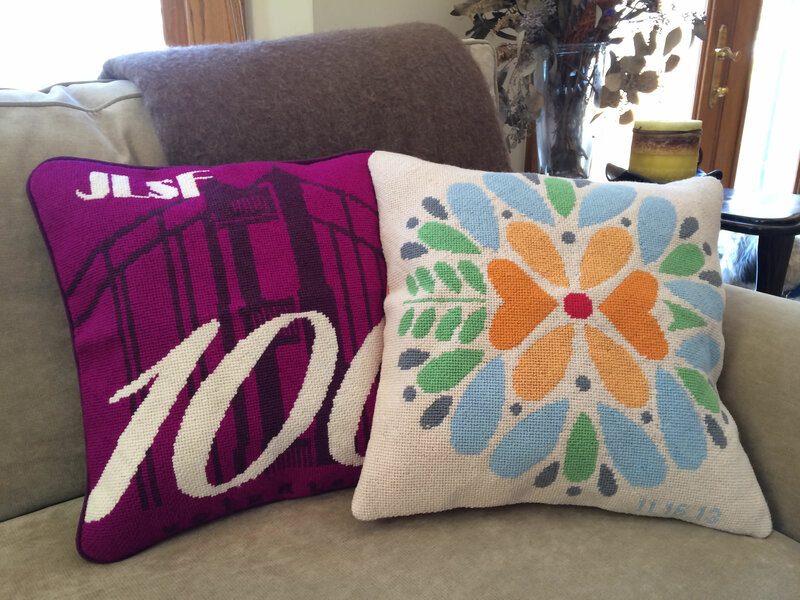 These are not as color matched, but still would work together nicely. 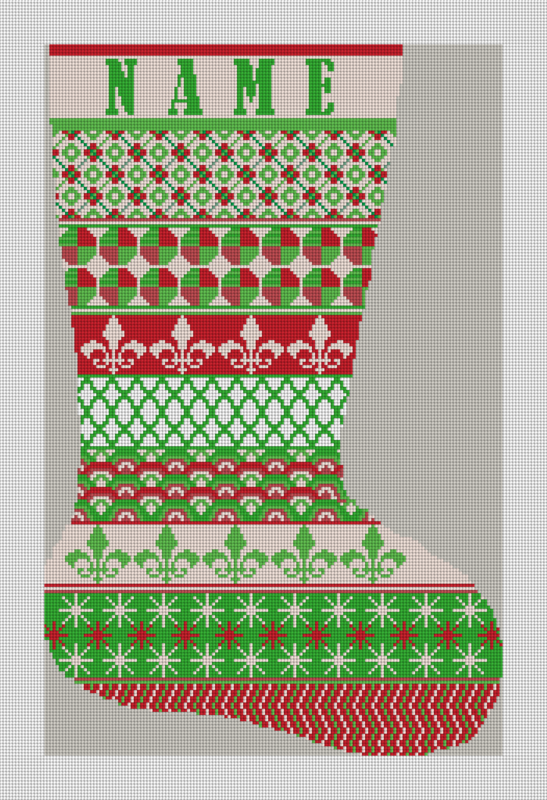 Keep in mind, if you love these designs but want to change the color pallets, just let us know, all of our orders are custom made and of course your names will be put on your stockings and a preview emailed before the canvas is shipped! 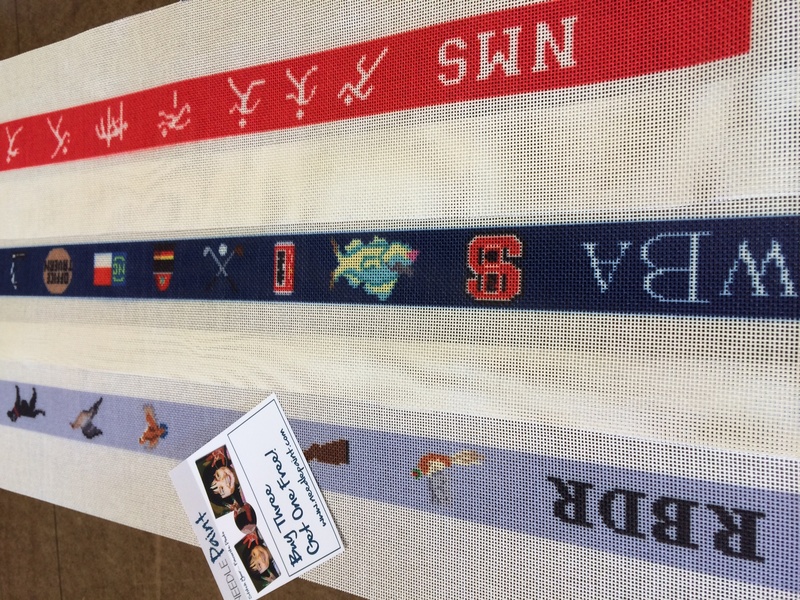 Our track and field needlepoint belt is for that special track star in your life, or it makes a great gift for a great coach! 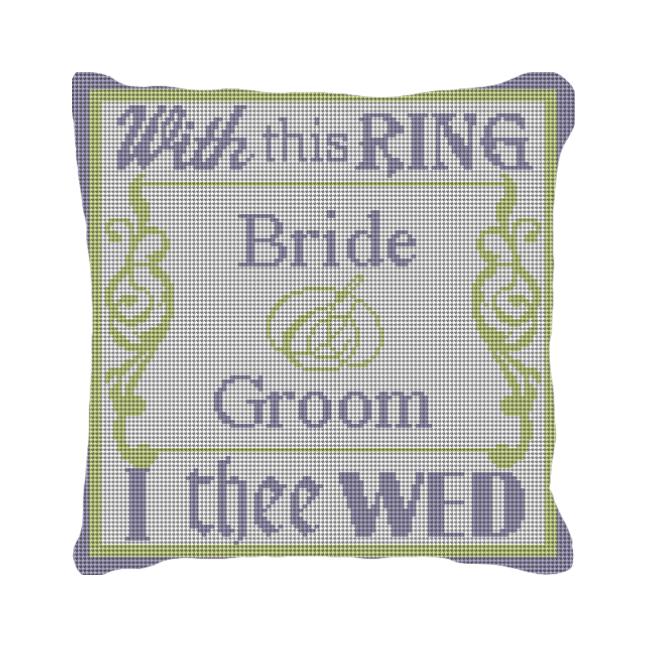 This simple design will certainly stand out when worn! 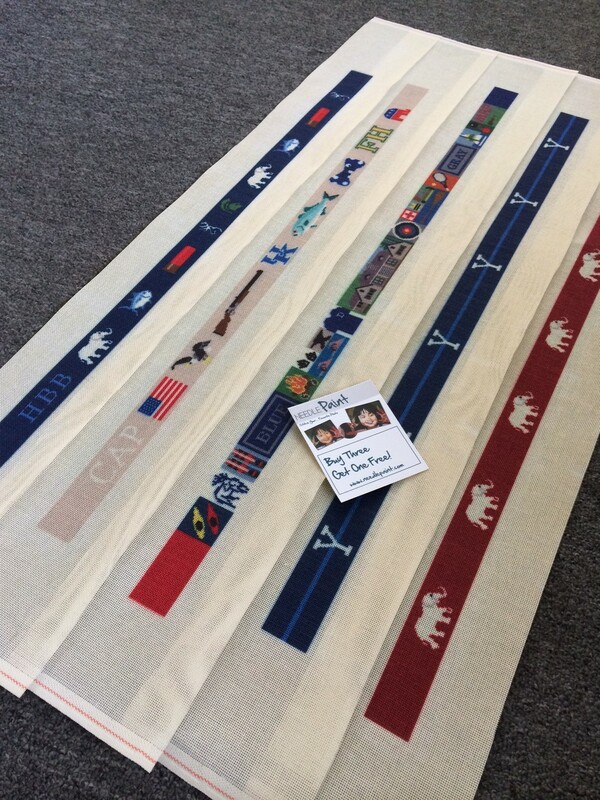 The colors can be changed to match your school’s and the monogram and jersey letters are designed to per personalized. 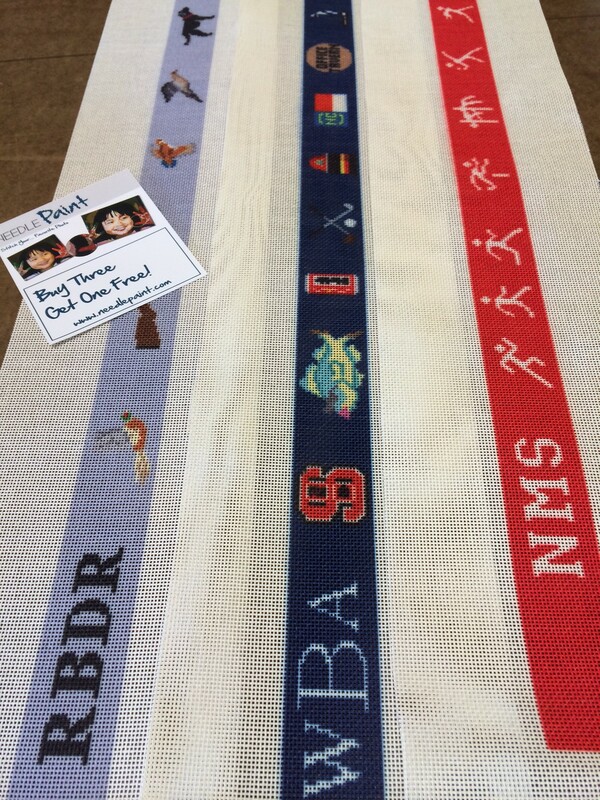 I’m also attaching some cool needlepoint belt designs we made last week below! 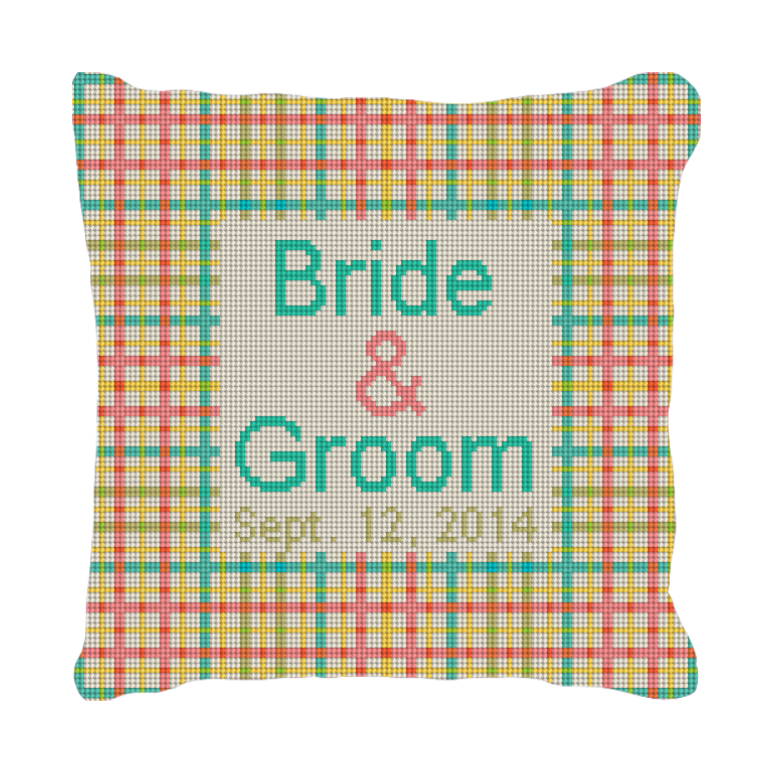 Looking for a groomsman gift that can be used during the wedding and will still be worn for years after? 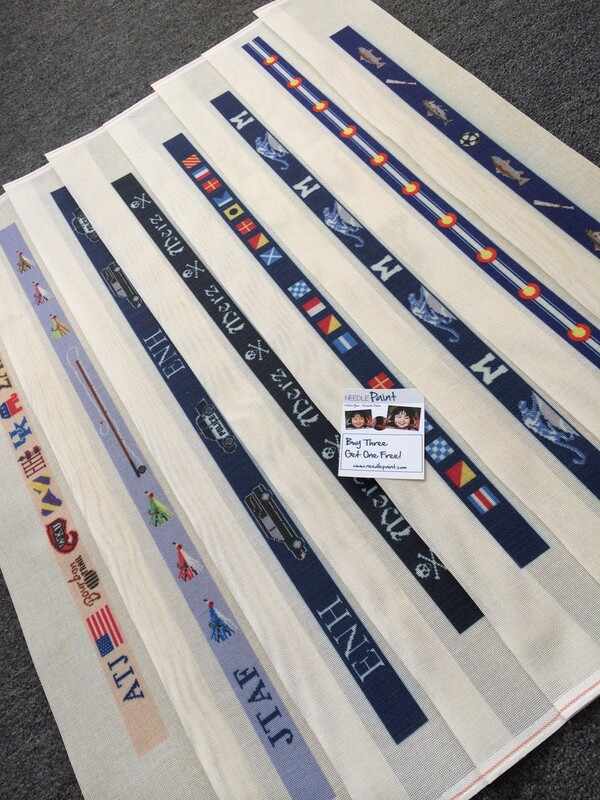 Our classic pinstripe groomsmen needlepoint belt makes a prefect gift for your groomsmen! 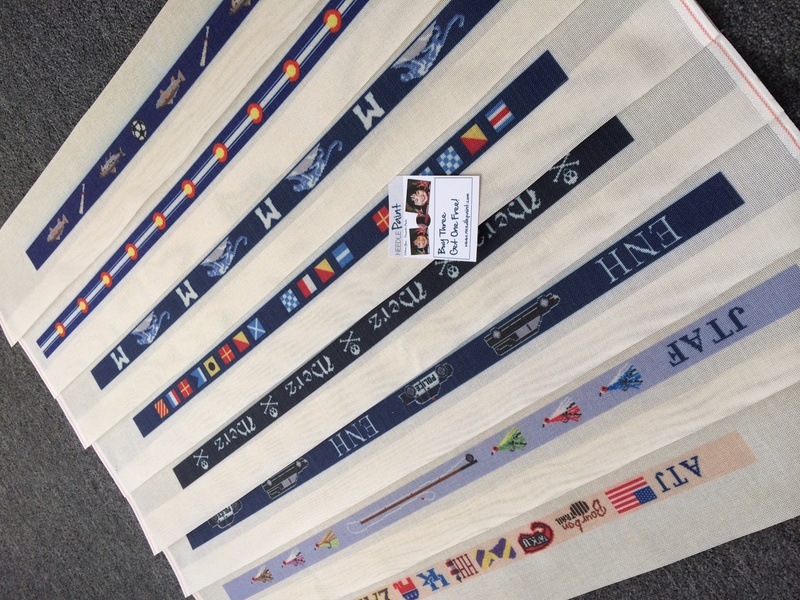 In case you have not seen our updated NeedlePaint.com website, check it out! 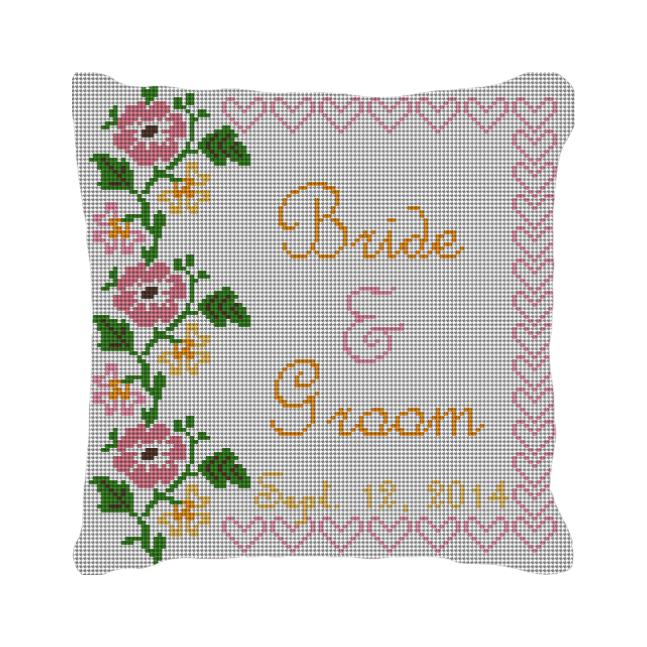 We are no longer only selling needlepoint kits, we can now also stitch it and make into a pillow. 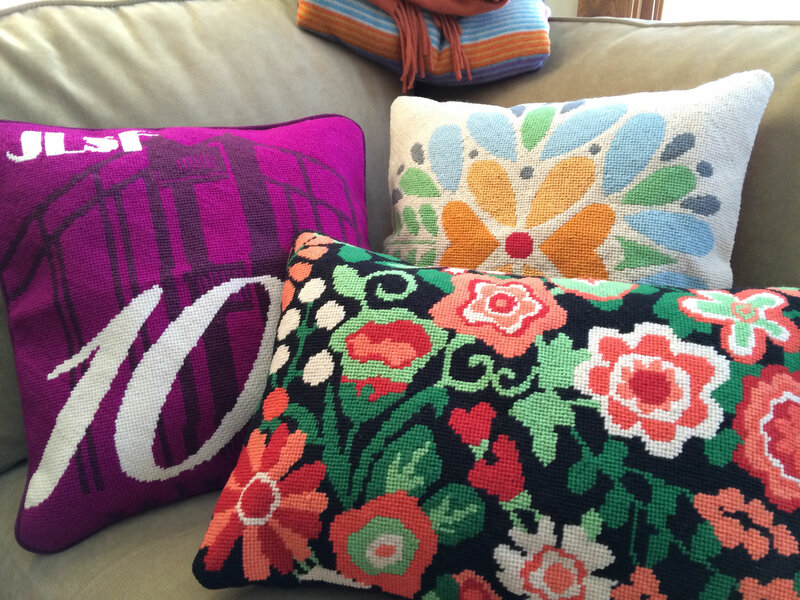 These are two custom needlepoint pillows we made a few weeks back, and I love all three of them! We’re working on an instructional video to help you explain in more detail how to design your own pillow, but the website is actually quite simple so click here and give it a try!